Hillary Chybinski: Swearing. . .What's a Parent to Do? Swearing. . .What's a Parent to Do? I'm a curser . . .it's not a pretty part of my personality, but I am. I have no idea where it came from, my parents don't curse and I wasn't raised around a lot of cursing (not counting my Italian grandfather - since that was in Italian). But it's my bad habit and one I'm worried about passing on to my kids. When my oldest was born, I took great care never to swear in front of him, but as the years went on, my bad habit surfaced stronger than ever. So how does a parent that swears, break that habit before their kids start swearing too? With a teen in the house, I'm worried I may be a little too late, but better to try and break a bad habit than ignore the situation entirely - right? So the first thing I'm going to do, is have a frank discussion with my teen about it. Why I think it's a bad habit, and how I'm trying to change. Accountability - I'm holding myself accountable to you, my readers - here in my blog confessional. By coming out of my swear-word closet and admitting I have a problem, I'm hoping you can help me break my bad habit. I'll post again in 21 days with an update (8/12). Avoidance - Stop swearing and cursing, by avoiding the situations that encourage it. Easier said than done - right? Like any bad habit, I'll need a process to help me stop the old/bad habit, and form new and better ones. There's the rubber band on the wrist, the swear jar or replace swear words with harmless words. 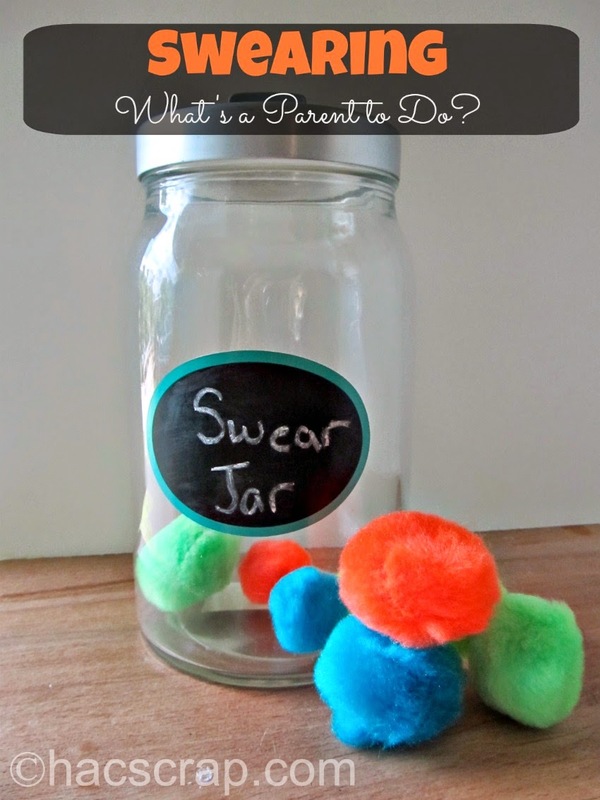 I'm no sure about the rubber band, so I think I'll try the swear jar in combination with word replacement. I'm also going to enlist my husband and kids to help me kick the habit. What advice for breaking bad habits do you have to share? We started a swear jar awhile back, it didn't last long. I am SO BAD...truck driver really.